,The education chain is the first real application of blockchain technology in the education. It provides the learners a reliable records of study through the distributed ledger. Together with the Education Credits (EDC) Token distributing, Education Chain makes the learning history recording become objective and irrevocable. This platform is suitable for all types of education and vocational training institutions! After an individual registers on the platform, the record of his/her learning will be recorded on the block of the Ethereum blockchain after being confirmed by the institution. Students can access it in real time and form their own record of academic records. -The education chain allows you to spotlight your progress, earn EDC token, and document your growth from ordinary to extraordinary. The daily based study credits EDC token follows up the ERC20 standard. A learner can earn one EDC token if he/she has finished a full-day learning. Once credits are issued, they cannot be recovered. 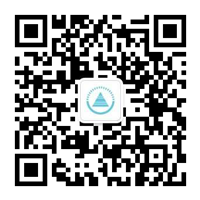 In addition, most of EDC allied institutions accept EDC token as coupon vouchers.